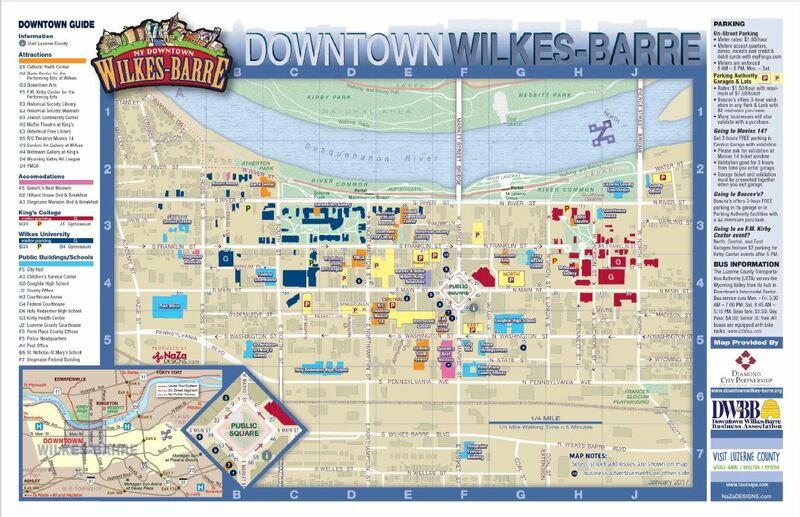 We want your opinions about Downtown Wilkes-Barre! Once again, it’s time for the Diamond City Partnership, Wilkes-Barre’s downtown management organization, to hear from you – via DCP’s 2018 Perception & Use Survey. We want to learn more about your Downtown experiences: why and how often you visit; what’s working; and what still needs attention. Whether you come to Downtown every day or you visit only occasionally, your opinions matter. The survey, which takes about ten minutes, will provide the feedback that we need to continue building a better downtown experience and a healthier, more vibrant center city. Plus, you get the chance to win a $50 downtown gift certificate! So, please click on the link and take the downtown survey.